Over 2 million persons have been displaced in the northeast amidst over 8 years of insurgency in the northeast. Internally Displaced Persons (IDPs) in Borno State will finally get to resettle in their communities before the first quarter of 2018 ends. They had been chased out of their communities by Boko Haram terrorists that have pushed for the establishment of an Islamic State in the northeast and an end to Western education in the region. Make-shift camps had become their homes, but the Deputy Governor of Borno, Usman Durkwa, says all that will end next year. He said strategies were in place to ensure that the IDPs in the state return to their communities by the set time. 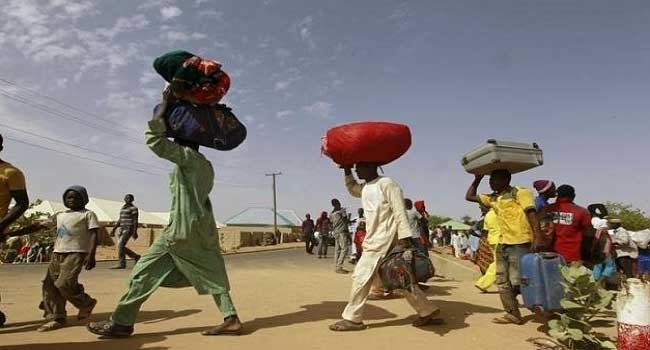 Durkwa told the News Agency of Nigeria in Maiduguri on Sunday, that there were still a handful of camps within the state hosting IDPs, but that expectation was that IDPs would be returned to their communities early next year. The state government has welcomed the National Assembly's passage of a law that would give birth to the North East Development Commission, expressing hopes that the establishment of the commission will hasten the realisation of government's expectation of returning the IDPs. "The commission will seriously complement the efforts of the state government," Mr Durkwa said. He believes the commission would, among other things, coordinate projects and programmes within the Master Plan for the rehabilitation, resettlement, reconciliation, reconstruction and sustainable development of the North-East Zone. According to him, the functions of the commission also include infrastructure, human and social services. Mr Durkwa commended the Federal Government in ensuring improvement in the living standard of the IDPs. The gesture is part of the efforts by the Federal Government to ease life for those affected by the activities of the insurgents in the North- East.